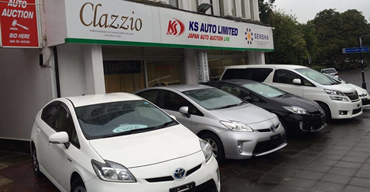 KS Auto Limited are specialist Japanese used car dealer located in West London and are experienced in supplying used cars to customers in and around London. At KS Auto Ltd, our professional and friendly approach is second to none; we are available to give advice and guidance to customers who are looking for any kind of used car. We are more than happy to talk with you about any of our used cars. Whether you are looking to buy your first used car for sale, or looking to replace your current car we are confident we can be of assistance. On our showroom you will find a range of cars from major car manufacturers such as Toyota, Honda, Nissan, and many others. We are specialised in hybrid electric cars. We have many satisfied customers from all over London. The majority of used cars for sale on our forecourt are one company owner and come with a main dealer service history. We will be updating our blog area.